The Israeli navy has intercepted the Zaytouna-Oliva aid ship that was planning to break the decade-long blockade of the Gaza Strip to raise awareness, according to the initiative’s organizers and local media. The ship, intercepted some 35 nautical miles (nearly 80 kilometers) away from the Israeli coast, was redirected to the port city of Ashdod, Haaretz reported. 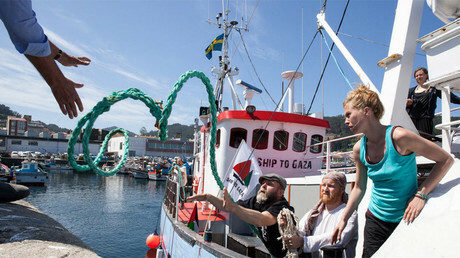 The passengers on board showed no resistance when Israeli forces took over the flotilla. The seizure was confirmed by the Israeli Defense Forces. “The Israeli Defense Forces managed to quickly seize the ship without causing any injuries among passengers," the statement said. 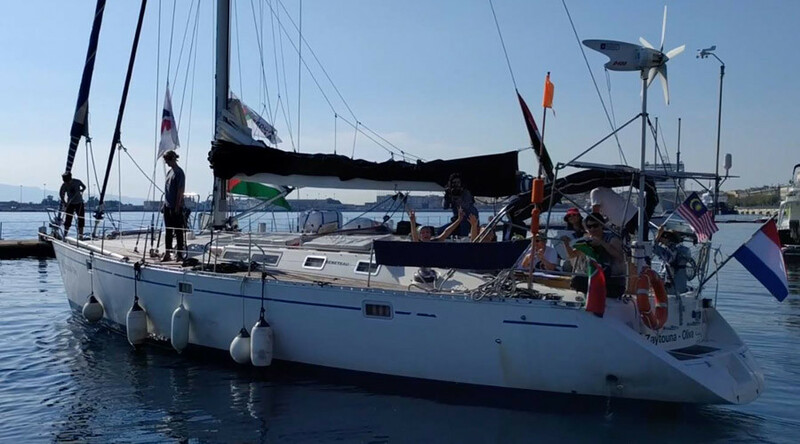 The Women’s Boat to Gaza, a campaign of the Freedom Flotilla Coalition, started out from the Spanish city of Barcelona nearly a month ago and was planning to enter the port of Gaza on Wednesday night, according to the data available on FFC website. The information about the seizure was also confirmed by Sondos Ferwana, a media spokeswoman for the International Coalition for the Fourth Freedom Flotilla, who spoke to Anadolu news agency on Wednesday evening. “We don’t know the fate of the activists aboard," Ferwana said, adding that the contact with the ship has been lost. Confirmed envoys whose mission was to “highlight the devastating effects of the brutal blockade on the Palestinian people living in Gaza” include 1976 Nobel Laureate and Northern Ireland peace activist Mairead Maguire, and New Zealand Green Party MP Marama Davidson, the FFC website says. Apart from that, there are also several parliamentarians, an Olympic athlete and a retired US army colonel, Haaretz added. The Amal 2, a second boat, had suffered a technical malfunction and had to turn back to Barcelona with organizers suggesting that it could have been intentionally tampered with.